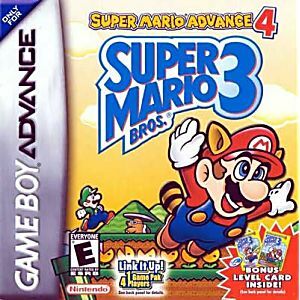 Super Mario Advance 4 - Super Mario Brothers 3 GBA Game Boy Advance Game Cartridge Cleaned Tested and Guaranteed to Work! This is a great Mario tile for the GBA! Fantastic game that's kept me busy for hours, just like when I was a kid. Really quick shipping and game was in excellent condition. Thanks! Just like the NES version but way better in several features. one of the best games for gameboy advance! The cartridge came like new works very well with my gameboy and soon will buy another copy since the one I bought was for my friend ?? Really fun game. Arrived in good condition and unbeatable for the price. Will buy Lukie games again. Great price on a classic game. Mario is fun in any size game system (GBA). This game was a great present for my son for getting all A's on his report card! I also like to play this fun game sometimes too!